Use a fork to poke holes all over the surface of the steaks, and place steaks in a large baking dish. In a bowl, mix together beer, teriyaki sauce, and xylitol. Pour sauce over steaks, and let sit about 5 minutes. Sprinkle with 1/2 the seasoned salt, pepper, and garlic powder; set aside for 10 minutes. Turn steaks over, sprinkle with remaining seasoned salt, pepper, and garlic powder, and continue marinating for 10 more minutes. Remove steaks from marinade. Pour marinade into a small saucepan, bring to a boil, and cook for several minutes. Lightly oil the grill grate. Grill steaks for 7 minutes per side, or to desired doneness. 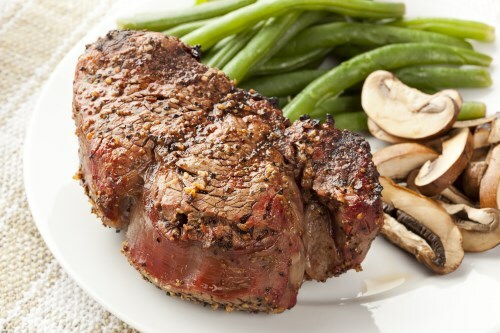 During the last few minutes of grilling, baste steaks with boiled marinade to enhance the flavor and ensure juiciness.